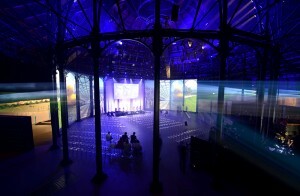 For the European launch of the Huawei Ascend P6 in London, XL Events supplied a multi-screen blended projection, HD camera system, media servers and control. Chinese electronics giant, Huawei, recently introduced their flagship Ascend P6 smartphone to gathered media in London. Huawei’s creative event agency, Uniplan of Hong Kong, designed an immersive 180 degree projection onto gauze followed by a reveal at the end of the presentation to give attendees access to the experiential area behind. 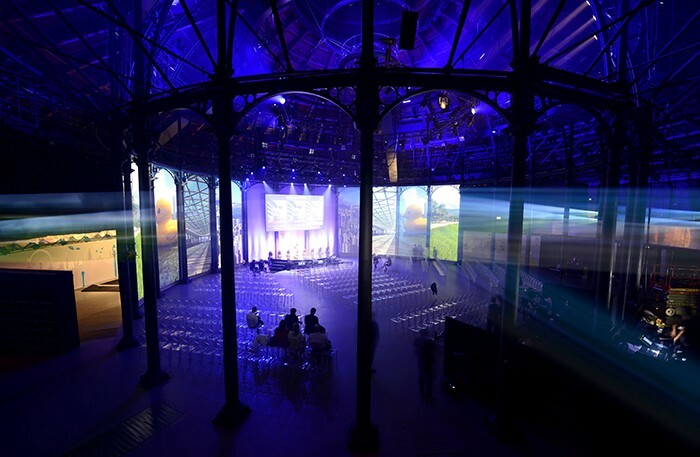 To realise this creative Uniplan engaged production company Imagine Believe to produce the launch event at the iconic Roundhouse, in London’s Camden. To provide the video element of the launch, Imagine Believe’s production director, Tom Attenborough, contacted Mark Rooney, project manager at technical supplier, XL Events to design and specify the video for the show. For the main multi-screen blended projection which included brand logos, and demonstration footage of the new smartphone, XL used 12 of their Barco HD20 projectors. The challenge of working in the Roundhouse is to ensure the images blend to the screen whilst taking into account the pillars around the centre of the building which support the circular structure. XL also supplied two of their Sony HXC 100 HD cameras with 70 x lenses for IMAG of the presenters, accompanied by one of XL’s Small Portable Production Units. 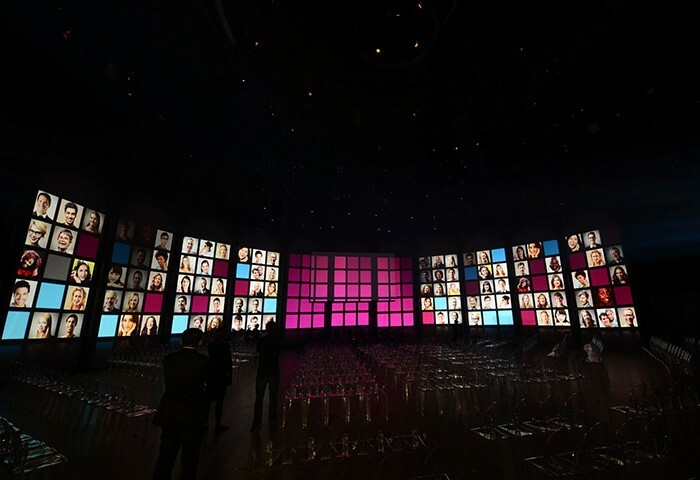 For the screens, XL Events used five of their Catalyst media servers to playback the pre-programmed media content alongside the main keynote presentation. The Catalysts were managed by Leo Flint. The vibrant projection around the circular venue was the perfect introduction for Huawei’s new smartphone, which boasts a high-end feature set. "With only an eight week lead time from first briefing to the show day, this was a challenging event," comments XL’s Mark Rooney. "Working with Uniplan’s creative design and Imagine Believe’s producer, Tom Attenborough, made it a lot easier, and the show went smoothly, producing a stunning end result. Our team of Lee Moore, Kevin Parry, Rob Bent and Leo Flint ensured everything looked fantastic."